Spring Grove was built on land formerly known as Conduit Close. The site is now occupied by modern houses (c. 1983) in a cul-de-sac known as Spring Grove. 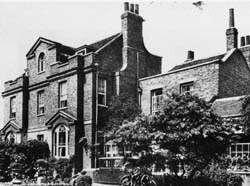 The two-storey brick-built house, with attics, was built in about 1767 on the site of the spring and conduit house which had served Hampton Court Palace from Henry VIII's time until about 1670. Spring Grove was demolished in 1981.